Happy (Not My) Presidents Day! I'm still in a mood to deal with fantasy instead of reality, so I'm posting the Wall Street Journal's Election 2016: Fake Presidents Edition to mark today's holiday. The 2016 U.S. presidential campaign season may seem stranger than fiction, but is it really that bad? It could be worse, compared to other American presidents who exist in the reality of our smartphones and televisions. 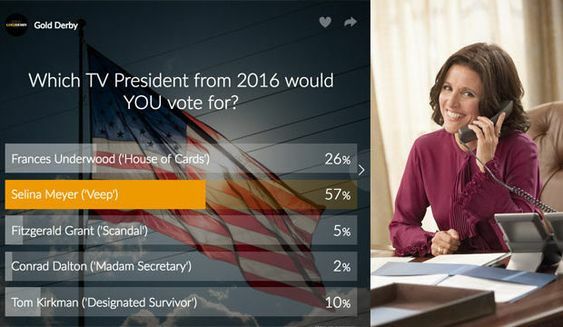 In the comments, I ask my readers to name their favorite fictional U.S. President. If I get enough nominations, I'll post my readers' favorites. *Many of the actors from "The West Wing" made a cameo at my blog in a video I posted first in Examiner.com article on Free Press endorsements and again in Second Year of Crazy Eddie's Motie News: Examiner.com. The video is still up; I suppose that's because Bridget Mary McCormack will likely be running again this year.